Former Miss South Africa, LIESL LAURIE (25) may have left her reign behind her, but that’s not stopping the optimistic beauty from making great strides in her career, not just as a presenter on Jacaranda FM – no, now she has her sights set on other global ventures too. Beaming with glee, Liesl was all smiles after announcing her latest feat, being named the ambassador for Vichy Laboratoires (part of the L'Oreal group), not just in South Africa but in Brazil and the US too. 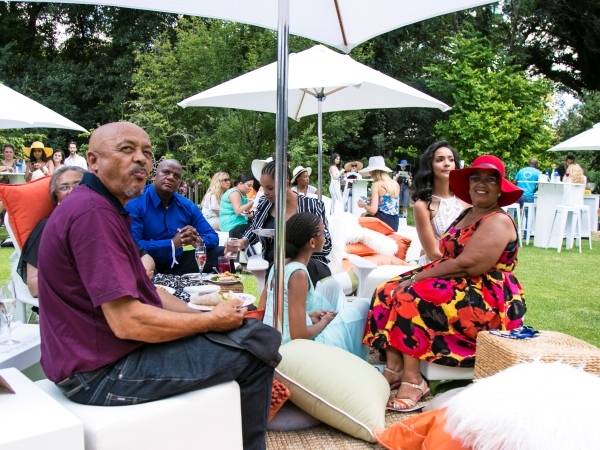 At an event hosted at the Beechwood Gardens in Sandton, Liesl was joined by family and friends to share in her joy. “If I can just give some background as to how much this means to me, picture me as a 5 year old playing in front of the mirror, 20 years ago, playing with my mother’s eye cream,” she recalls. Like most kids would, Liesl used to put the eye cream on her forehead instead before being reprimanded by her mother saying that those things “were only for grown-ups”. “I thought to myself, sheesh, I can’t wait to be a grown up. The beauty of it was that I was finally introduced to this brand, an amazing brand with an amazing team,” she says. She was supported by her family, including her mom Karen, her ouma, Lorrain and little sister, Micheala who attended the event and shared in her celebration and excitement. Liesl has never hidden her close ties with her family and credited them as the people who have carried, sacrificed and done more for her than anyone. “The journey has definitely been one that I think many people have watched. You’ve watched me grow, I think a couple of you have seen my very first interview as Miss South Africa and probably thought, ‘she’s got a long way’ because that’s what I thought. "And I look back now at the woman that was crowned then and I’m an even stronger woman now and I’m grateful that it’s only by the grace of God that I stand here today. He has carried myself and my family to be where we are today,” she addressed the crowd.